On windows 8 and 8.1,there’s a cool feature that when you press Win+X key a menu pop’s up on the bottom left.It has several useful links like Desktop,Command Propmpt etc. 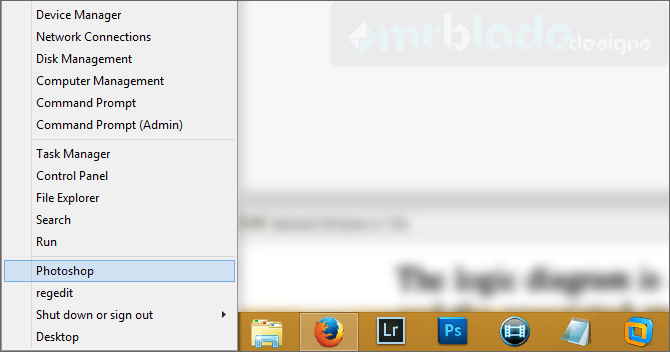 Using Winaero’s software you can add your own options in this menu like I’ve done ( check image ). This software works on windows 8 and 8.1 both x64 and x86 windows. Win+X Menu Editor serves to provide you a simple and useful way to edit Win+X menu without system files modification in Windows 8. It keeps untouched your system integrity. A simple and handy software.I would really recommend this as it's Free!